Woo what happened there then? Sixteen months of my life gone in a pole swinging, rain drenched, popstar grabbing haze. The Polecam held its own though. 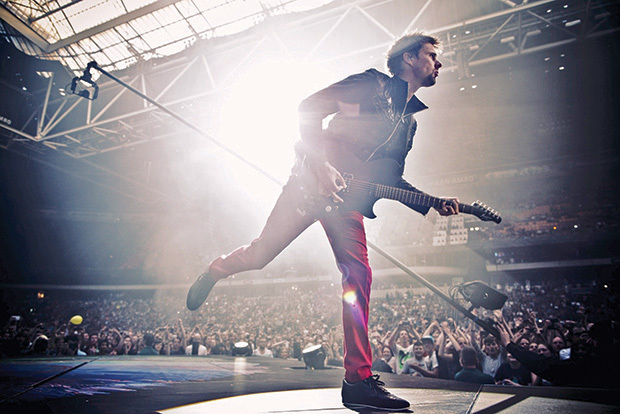 I was touring with the band Muse, using the slip-ring narrow head with the Camera Corps HD Camera on the end. I also purchased a rain bag for the back end and the waterproof housing for the camera - those outdoor gigs were going to get wet. For any of you that have been to festivals or worked on them you know how nasty that can become, so I wasn't leaving anything to chance. We had done 9 months of arena shows before bigging it up to play stadium shows. Tom Kirk was our illustrious leader (director) for the whole tour, and being besty mates with the lead singer knew what he liked. What he liked was grabbing hold of small cameras, spinning them round on their axis and generally being heavy handed with it. Not an issue when it's their own kit, but a little bit of a bum tightener when it's your pride and joy. Needless to say the Polecam performed miracles on every show. 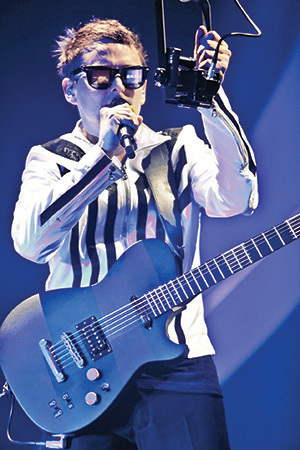 Whether being grabbed and twisted by a singer, taking a bucket load of beer thrown at it (well I think it was beer???) or being rained on continuously it kept on ticking. In fact the band loved the Polecam so much they bought their own (the bastards). 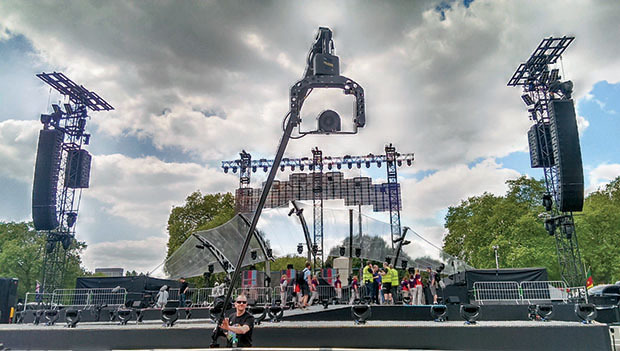 Yip, when the show went big and the stage thrust got long the band needed two Polecams, so Steff at Polecam Systems stepped up to the mark and replicated my rig for them (with the slip-ring widehead). Then the only question was how was I going to operate two rigs? It's not only women that are good at multi-tasking. We planned it so that I could run between the two rigs for different songs, thus only needing one operator, and me cancelling my gym membership. Everyone was happy. We then went back to arenas, and have just come to the end of our sixteen month tour of the world in Australia. I have owned and operated a Polecam since 2002 and this has been the most intensive continuous use and abuse of my rig so far and it has been faultless. That is down to the manufacturing and production of this high class, top quality piece of kit. Of course I would say that I own one and wouldn't waste my time or money if I didn't believe in it. I put this down to Steff and his Polecam team who produce this kit and continue to give me support that is second to none. Thanks guys and let's do it all again soon.